W.A.T.C.H. OUT! 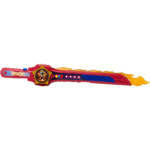 Young children are encouraged to “power up” with this “Super Ninja Steel” spring-loaded plastic blade, with the potential to cause facial and other impact injuries. The roleplay item’s functionality is a spring loaded mechanism that shoots out a few inches. The organization’s fears stem from the fact that the item is a sword (meant to be swung at people) and that the spring loaded feature could inadvertently cause facial injury to the wielder. 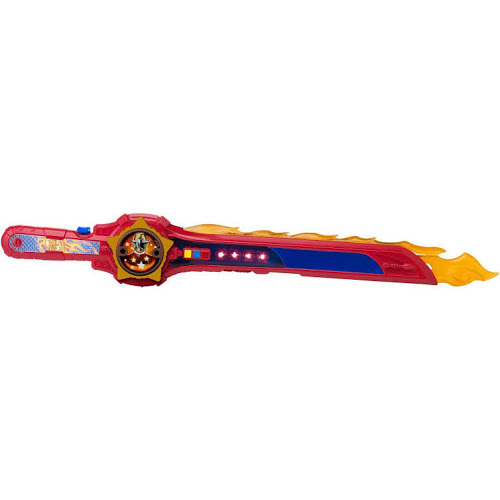 TokuNation.com advises parents and collectors alike to use common sense when handling a children’s toy and if you purchase the item for your child to be a parent and explain how to, and how not to, play with it. Check out the full press release by clicking here.